As I reflect upon this special Holy week when we celebrate Christ’s sacrificial death and His victorious resurrection; one word comes to my mind – LIFE. 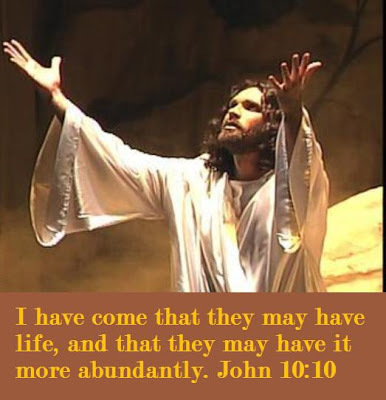 In the gospel of John 10:10 Jesus tells us exactly why He left the portals of heaven to live in human form, to die a cruel death on the cross of Calvary, and raise again victoriously so that we can all have life; not just any life, but abundant life! Love – God gave us the ultimate life giving example of true abundant love. He loves us so much, that He gave His only son Jesus Christ to die for our sins so we can have abundant life! When we accept Christ as our savior, His love is in us, and He can make our love grow so abundantly that it overflows to all those around us! Intimacy – Our God desires an intimate relationship with us. We should desire to know Him more as well. Because God desires a relationship with His creation, He has provided a way for us to know Him intimately – through His son, Jesus Christ. Faith – The only way to have the abundant life that Christ gives us is through faith in what He did for us on the cross, and that He rose victoriously from the tomb so that through faith we can have everlasting life. This marvelous faith can continue to grow as we get to know Him intimately. Eternity - Our life does not end when we die! On the contrary, when we put our faith and trust in Christ, our life is just beginning… and will never end! Praise God from whom all blessings flow! This week as we ponder what Easter is all about, may we not get all wrapped up in the secular Easter of the baskets, eggs, and bunnies; but may we think about the real reason why God sent His son, Jesus Christ… so that we may have life… and have it more abundantly. Dear gracious heavenly Father, I thank you for loving me so much that you sent your Son to die on the cruel cross for my sins. I am so thankful that You desire to know me intimately and that I can know you intimately through Your precious Son and Word. I am so thankful that it is through faith I am saved and not of works. Heavenly Father, may my faith continue to grow strong and may my life overflow with continual thanksgiving for all You have done. Thank you Lord for giving me everlasting life that began the day I became born into Your family! Thank you heavenly Father for giving me LIFE, more abundantly than I can ever imagine! In Jesus precious name, Amen. Amen, Michele! Beautifully written. Loved the Scriptures you gave with the LIFE, too! Beautiful picture. Love it! I am so thankful for my life in Christ and that it means Eternity will be spent in His presence. wow Michele! I loved this post! thanks for sharing! I am filled here again Michele. 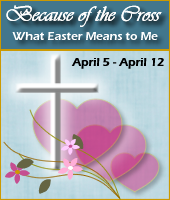 What deep reflections you have shared about this Holy week. Reading through each word of your post, I was becoming closer and closer and closer to Him, to what He did for all of us by the price He paid in His crucifiction...and then...HIS RESURRECTION...Oh what a beautiful, beautiful thing. I am touched deeply, very, very deeply. Hi Michele, what a wonderful post! Amen! God bless you! Oh amen! We have life-Jesus IS life! Too wonderful to take in at times! Amen Amen! amen amen amen..made this my prayer also. Amen! My daughter says, "Jesus died to give us life." That sums it up doesn't it? Happy TT and Happy Resurrection Day! Amen Michele! Your post is such a wonderful reminder of who we serve! I was truly blessed by your post! What a wonderful word picture! Thank you so much for linking. Oh yes, yes & yes! I love reading this week's posts. So much hope, love & faith! What a joy you were to read today. Thank you for your post. Have a blessed Easter. Keep shouting out HIS story! Thanks for sharing Michelle - love all the verses...thankful that the Lord us and sent His son and by our faith we can have eternal life! AMEN! AMEN! AMEN! dear sister!!! I love this. 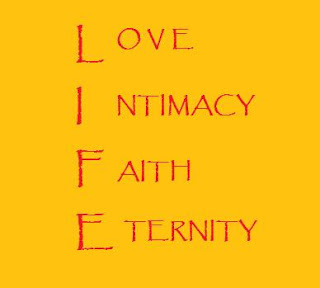 Love, Intimacy, Faith, Eternity. Can't sum it up any better than this. This was wonderful-thanks for sharing your heart with us. Blessings and a wonderful Spirit filled Resurresction day. Joyful for Life and intimacy in Christ! Praise the Giver of LIFE!